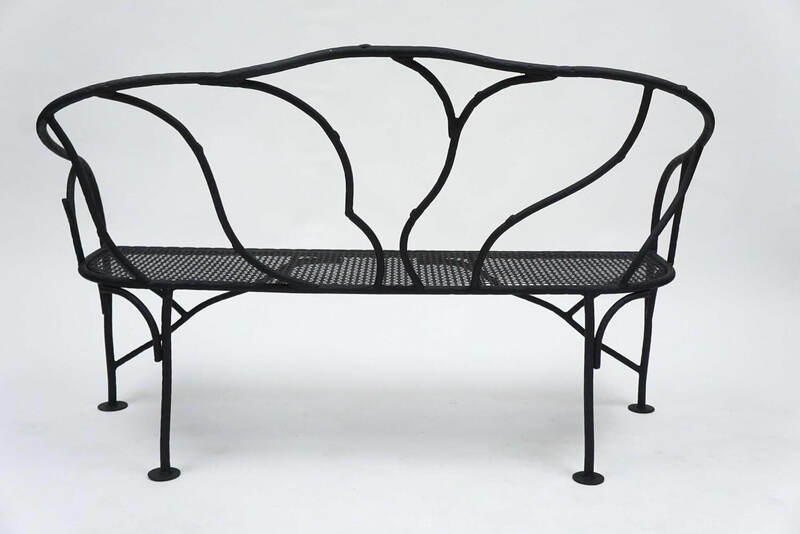 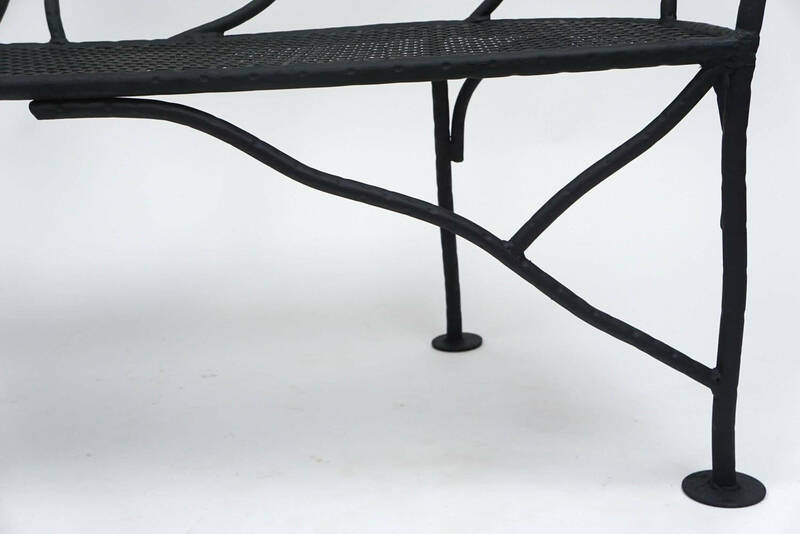 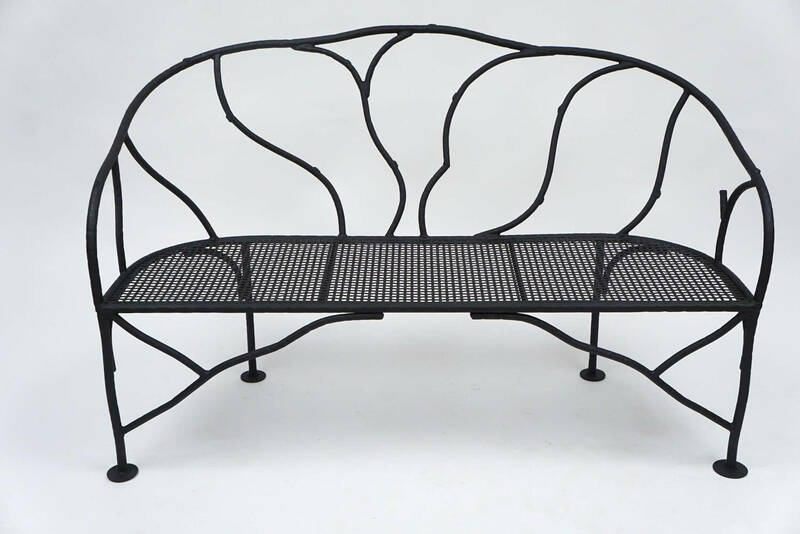 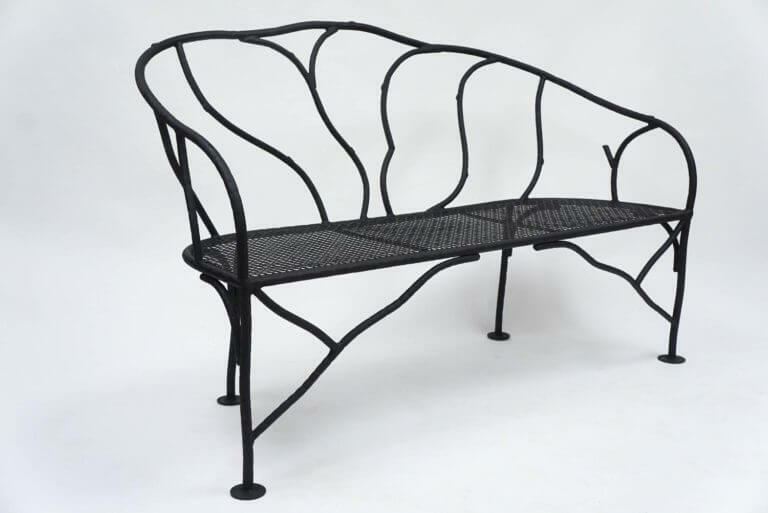 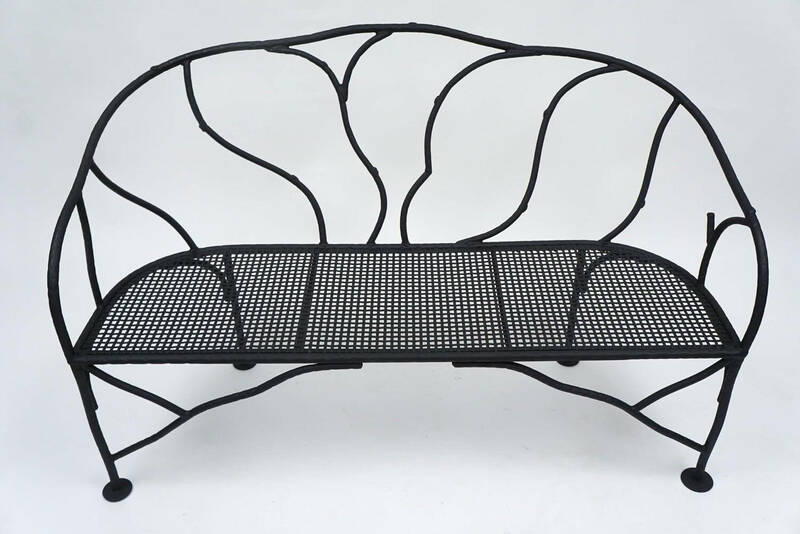 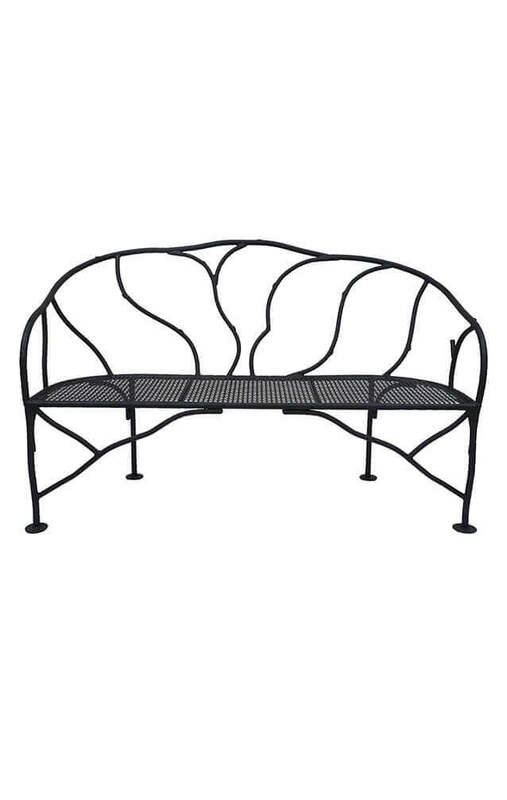 Elegant vintage wrought iron garden bench having frame of faux-bois branch form and woven metal seat. 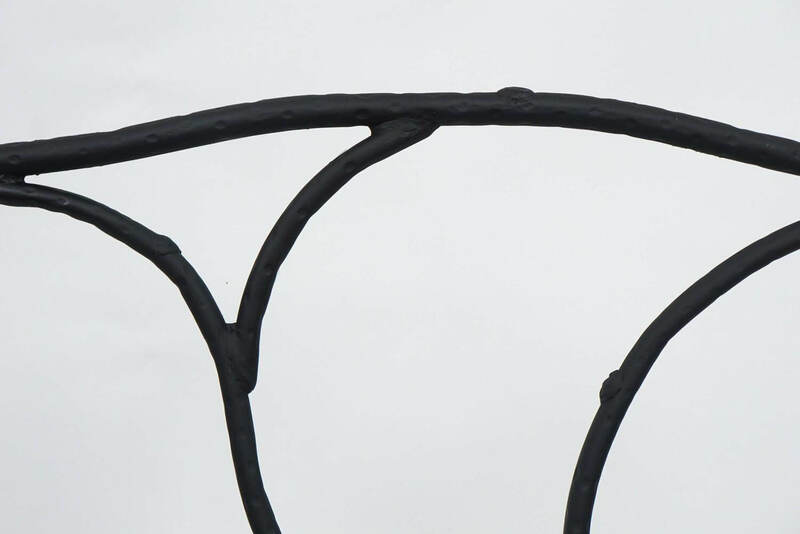 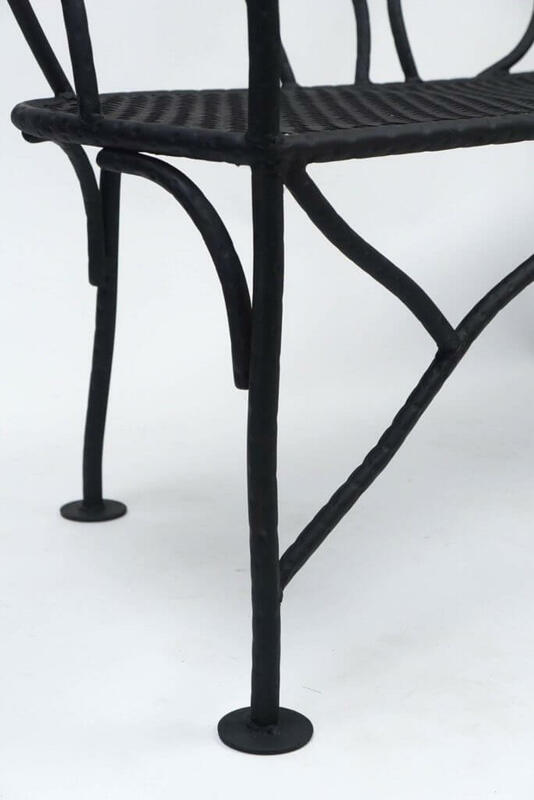 This piece was hand-crafted by an ironsmith in Columbia County, New York. Hi, I thought you might be interested in this exceptional piece from Acroterion.